Up in the air. That might be the best way to describe the state of the GTA housing market — today and in the future. First, consider the resale market. While resale transactions were down 37 per cent in June, according to the Toronto Real Estate Board, demand for homes to buy was on par with demand levels seen last fall, according to Ipsos. This would seem to indicate that the buying decisions of prudent consumers are up in the air as they wait to see how a raft of recent policy changes (the province’s Fair Housing Plan in particular) will affect them. Then there’s the new-home market. With 86 per cent of the most recent month’s new-home sales coming from highrise homes, according to Altus Group, the GTA’s new-home market is not about homes on the ground, it’s about homes in the air. This is clear evidence that the Places to Grow intensification policy introduced a decade ago has now come into full effect. It will take time for the dust to settle in the market following the recent introduction of policy changes and there’s still lots of uncertainty regarding how many of the changes will actually be implemented. These housing policy tweaks are aimed at fixing market problems, but the slow speed of implementation and some other conflicting forces could end up creating new issues. Consider the issue of supply, a vital part of the GTA housing equation. There’s been plenty of industry and government discussion about land supply, the essential element for creating new homes, but there’s been less focus on the development process and how to facilitate the intensification of the region’s housing supply. The province wants the GTA to grow up, not out. And now, a decade since Places to Grow was introduced, the government is calling for even more highrise development. 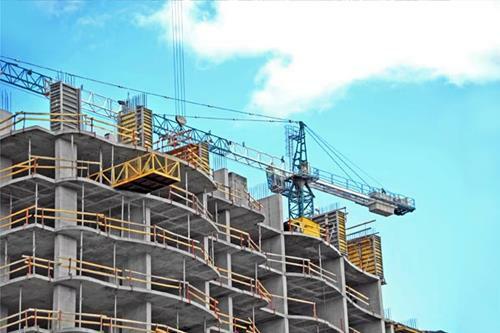 It is increasing highrise development targets for the GTA to 60 per cent, up from 40 per cent. Particular emphasis is being placed on development around major transit nodes, such as subway stations. Hitting these density targets will require the development approvals system to deliver much more than ever before. Last year the Ontario Municipal Board (OMB) facilitated 70 per cent of all high-density development approvals in the city of Toronto. The controversial changes planned for the OMB may now put the fate of the province’s Growth Plan in the hands of the city and place the future of our region’s housing market up in the air.